that is just d best gif i saw! LOL! ever! lol, i just love cats! and so who are you, after all? What I like about Zen is that everything can be summed up in its entirety precisely by saying nothing at all. When I started practicing zazen about two and a half years ago, I started with wall gazing right away. It felt like such a cool idea and I didn't have a teacher to tell me 'no, you can't do it'. I don't have elaborate philosophical reasons for this particular form of practice, I just practice it. In Bodhidharma's case "wall gazing" likely meant not a physical posture but maintaining the mind like a wall, that is, without discrimination or attachment to emotions and ideas. According to the Tibetan translation of Bodhidharma's account, the Chinese term "facing a wall" is translated as "Facing reality." Malcolm; I remember you sharing the Tibetan translation of “facing a wall” (“facing reality”) many years ago and it’s stuck with me. Thank you. Last edited by Grigoris on Thu Mar 22, 2018 8:53 am, edited 1 time in total. ugh, have you been edited? very , very happy to see you here. for much of the wisdom you share. im from soto, but that does not mean i know something, or have a valid view..
wall gazing is just another description of soto shikantaza..
just sit? do not breath? dont notice when the tanto is whacking you? just sit? lol, ull be sensing what ur neighbor sitter is not only doing, but thinking..! the left and right one! untill u samadhi out, and they have to wake u up..
lol, ur liver, spine and lungs will not just sit! they will help u 2 stay alive! i cant and will not go on. samadhi is the reason, but methods are many. manner, not soto mudra, but a fist mudra. so touchy, full of tradition! many, many strange things, but well, thats how it is. so, if u call it wall gazing, or just sitting, lol, i bow 2 u! 4 me ""just sitting", ""wall gazing"" are just an unlucky choice of words. I think I would notice if a TANTO was whacking me, yes. The ones we used were sharp enough to shave with. I would prefer to arise, disarm and settle back into seiza without disturbing my contemplation. Odd Zendo you attended.... did you also sit on a wakazashi cushion? Different tanto. He's referring to a role in the zendo, a senior practitioner. I like your version better though. very , very nice to see you! i will always bow to you, please note that! on my first seshin, the short kyosaku was brokken on my back..
after , we even bowed , to have a bit of kyosaku..
Sir, what do you sit on?. ill try to be more silent.. I haven't heard of it as anything other than a Keisaku. hey, Mantrik, Sir, thanks for your reply. ok, sry, not kyosaku, but keisaku, ok, got it. i sat in a soto zendo..
what was ur practice..general, nothing specific, rinzai or soto, or anything you would like to share..
for example, the keisakus were sharp..
but, also, Sir, what is your opinion of the keisaku? Oh, in Zen, just a few sessions as a complete beginner. We had an Aikido dojo with a Zendo above it for a short time. (White Plum rings a bell but it was decades ago.) Yes, kyosaku is the Soto word for keisaku afaik. I was more used to being chased around by someone with a tanto than sitting in a Zendo. It just struck me as an odd use of the word 'tanto', knowing it only as a sharp knife....which would certainly wake me up! so, after a few weeks, i was relieved from this duty, happily, ha. sir Meido could, in a few sentences , explain the use of the keisaku, by the tanto, to wake and spur students on. Could u please, Meido Roshi, say some about the use of the stick? i dont think it is used anywhere in Buddhism, but only in zen and chan.. i dont know..
anyway, thnx for the nice conversation, Mantrik. and i really hope Meido Roshi explains a bit, he is also an aikido master, and a steel forger. Several uses. Mostly, to deliver a series of strikes to specific points that lie in between the spine and shoulder blade. The effect is to release tension, drop energy downward that has risen up, re-establish clarity, and dispel sleepiness. The quality of the sound made when it hits reveals something about the internal condition and breath cultivation of the recipient: there is specific way to receive the strikes with the body that affects this sound. Naturally it also reveals something about the striker's condition and degree of skill. If those conditions are all correct, the sound can benefit others in the zendo as well. yes! thank you Meido Roshi, i saidthet it would take you only a few words to explain it deeply! of course, i have no such knowledge to explain this use of kyosaku deeper..
but, i would like to add a few things..please correct me if i am wrong, Sir Meido. there a two kinds of kyosaku, a normal ,long one. it is used every day, and students bow to receive a two hit, left and right..
and a short one, used on new students, only in seshin..
but sometimes they end up on the top of shoulders or..
i, again, personally, think that the kyosaku really made me meditate harder. or just for a..pick up. so, it is strange, but for me so good! I only know one kind of keisaku/kyosaku. There are different weights of them for summer/winter, since garments get thicker in winter. The teacher may carry a short stick called a shippei during kentan. But I am really only familiar with the Rinzai practice I've done. Training tools and practices can be abused. We're off topic here, let's get back to wall-gazing. So nice to see you Eric! 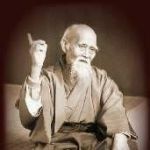 just the rinzai mudra, which they dont tolerate in Soto..
you know the one, when the thumb is held by the other hand in a kind of fist. sometimes my hands would kind of start to ''sleep'', so i would change the mudra, so i wouldnt have to bother with an another pain..
i suppose they think one cant do shikantaza while holding such a mudra..
i mean, what has ''wall gazing'' have to do with shikantaza? like, y not window gazing, or toilet gazing, or gazing at the table..
imo, just a bad choice of words, just like 'just sitting', ..
ill recount one little story about some soto vs rinzai mentality..
a bunch of us, all robed in black, were in a subway station, waiting for the train..
suddenly, there appeared this quite big, fat rinzai monk, all clad in blue..
he smiled at us, and started to approach us..
and what did our seniors do, the three of them..? they stood up, made a 'wall' against him, and seriously stared him down..
lol, tolerance on a tin spear. yup, modern soto in a nutshell.